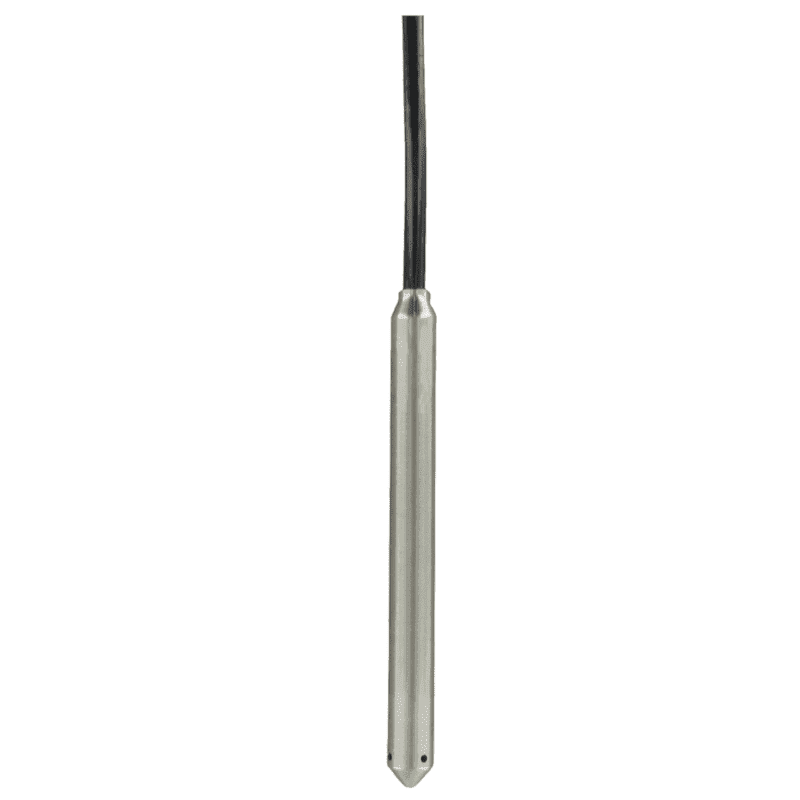 The MBLT miniature submersible level transmitter is only 0.63˝ in diameter making it ideal for level monitoring in well and borehole applications with 4 to 20 mA or 0 to 5 V output. Designed for years of trouble free service, the MBLT has a welded 316 SS body and 316 SS nose cap. Body top is also 316 SS and tapered to prevent damage or snares when pulling the unit out of the installation. Featured in the MBLT is a precision ±0.10% or 0.25% of full scale accuracy output, better than BFSL or BSL rated outputs used by most competitors. Lightning and surge protection (not guaranteed or covered by standard warranty) is included standard to stand up in harsh applications. MBLT comes with a choice of polyether polyurethane or ETFE cable materials and all are vented for barometric pressure compensation. Vent is covered with a maintenance-free filter preventing particulate or water droplets from entering the transmitter. Voltage output models work down to 8 VDC for power requirements making them ideal for battery powered telemetry systems.